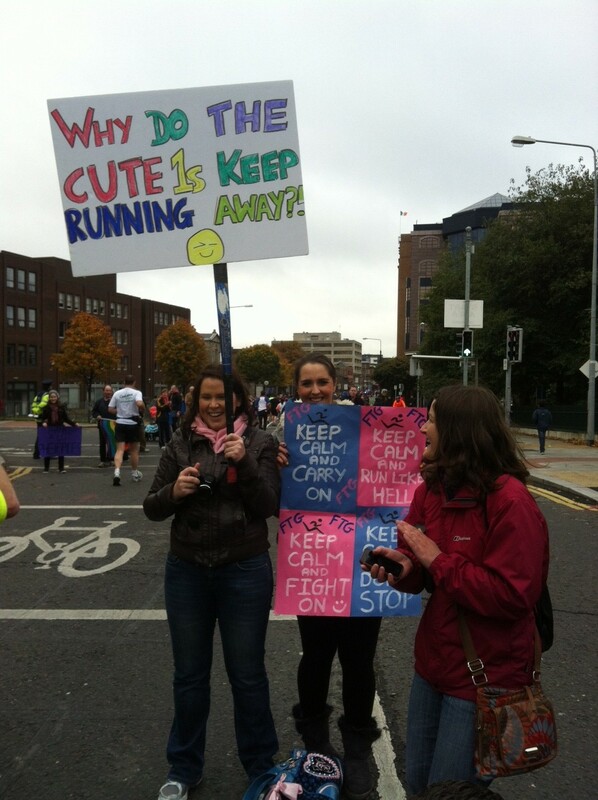 One of the real benefits of a home marathon is that you are likely to see so many people you know along the route. Sometimes you even see people that didn’t even know you were training for the marathon ! They are much more shocked than you are. Its highly unlikely your supporters will spot you in the crowd. You will have to spot them. Everyone looks the same to a supporter, and they are likely to be distracted by someone in fancy dress, just as you run past ! Having supporters along the route really gives you a good kick as you go past them, it cheers you up, and it can be often very emotional (trust me) so really encourage your friends and family to come out. For them, it is quite an entertaining thing to do too, and for many inspirational. Looking out for people on the sidelines can be a great distraction from the miles, but it can also be stressful if you are not sure where exactly your ‘key’ supporters are. Make the marathon a bit easier on yourself by following these tips. Arrange a meeting point for after – don’t just say – ‘I’ll see you at the finish’ – it’s too crowded. 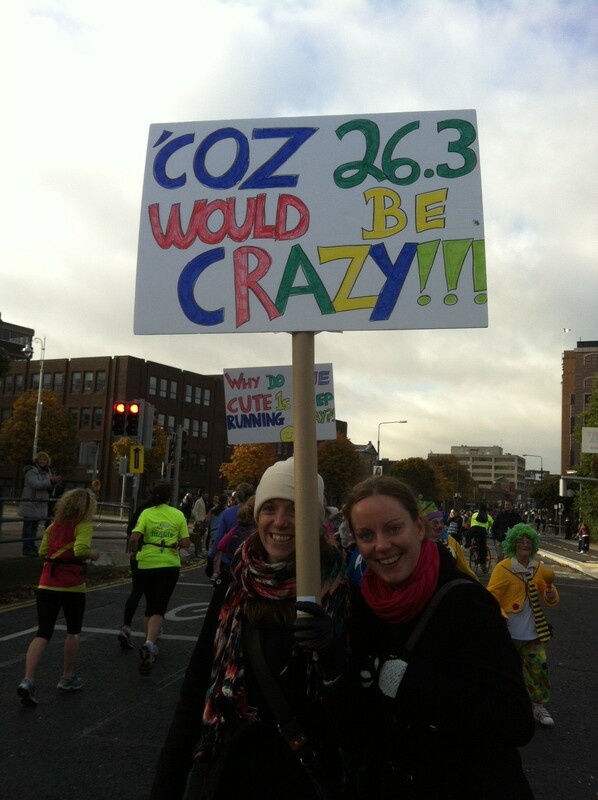 Send your supporters details of the SSE Airtricity Dublin Marathon App so they can keep track of you. From my experience, here are good spots for spectators. Mile 26 – 26.2 : Very busy and wide road – recommend runners just enjoy this bit and don’t stress trying to look out for supporters. Instead keep your eyes on the road, the finish line and take in all the atmosphere. 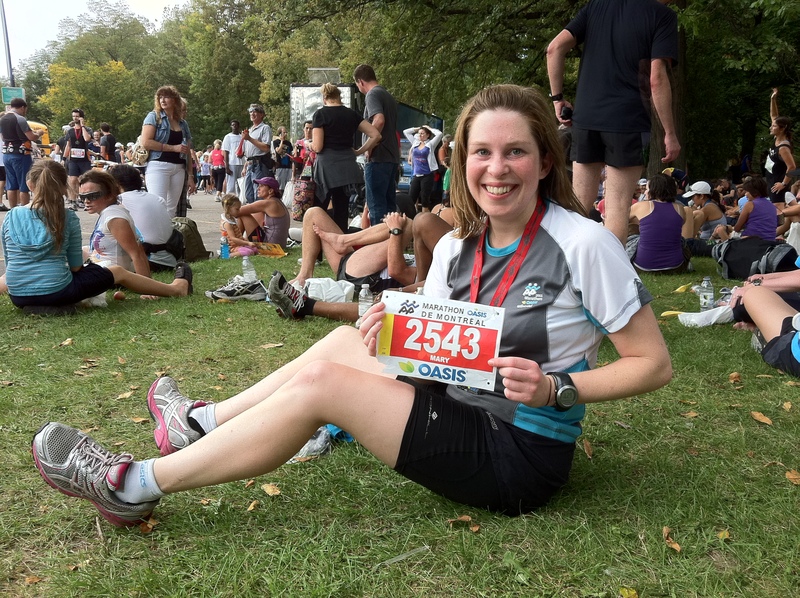 Yes, running a marathon is hard work. Supporting can be hard work too. Even the most patient of children will be bored of watching by the time the front runners pass. They will also be very disappointed when they see you are not going to win the race. For small children, just arrange one place to meet and avoid the pressure on everyone chasing you around the city. Pick a location near a toilet, a shop and somewhere with shelter. It can get very cold waiting for runners. 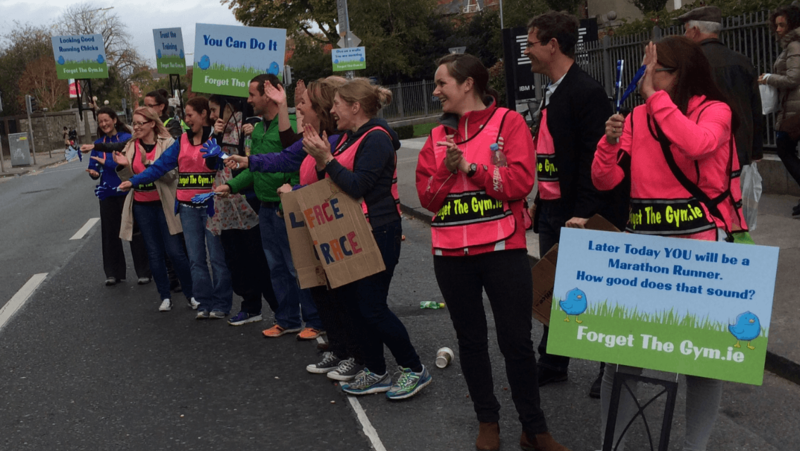 The last thing you want to be greeted with at the end of your marathon is a group of wet, crankly, hungry and bored supporters. Make the day easy on them too and you will all enjoy the celebrations. 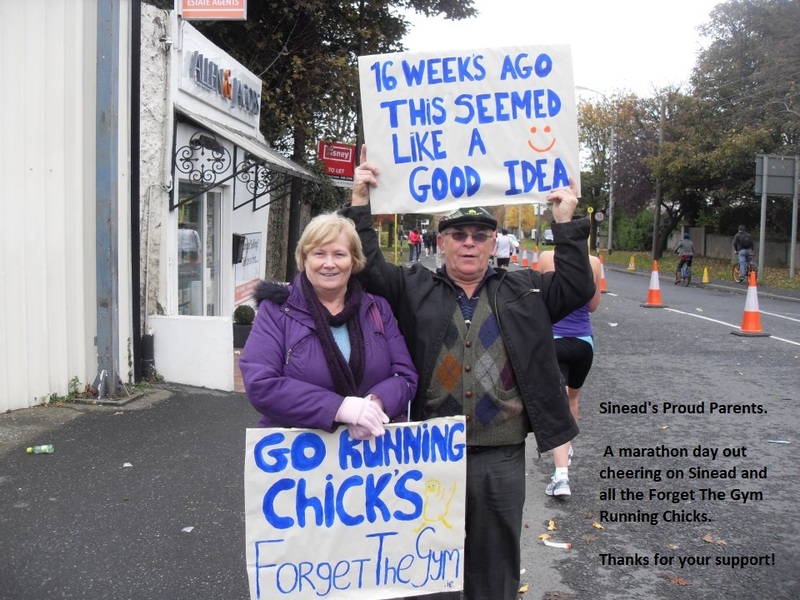 Here is our plan for supporters for race day – come join us if you are free..
–11am -4pm : Watch out for many more of our running chicks out on bikes and on foot all around the course.